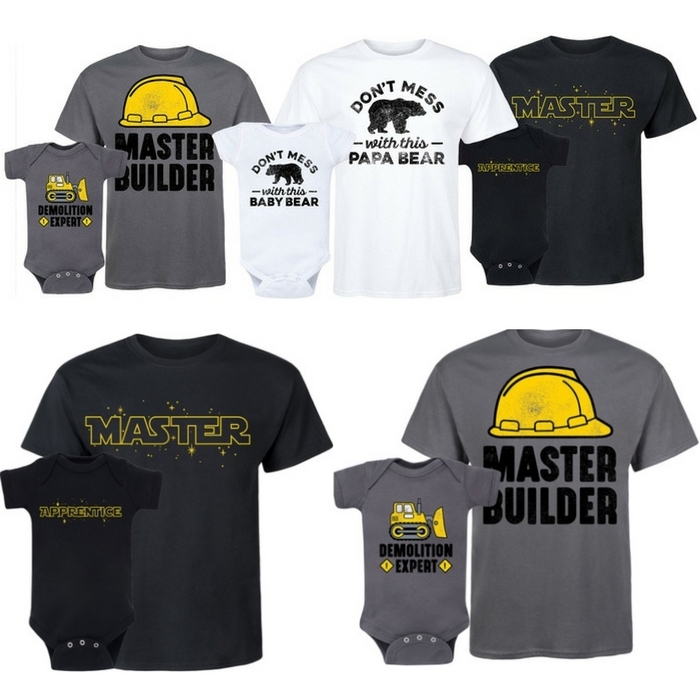 Father And Baby Matching Sets 2-Piece Just $16.99! Down From $50! You are here: Home / Instagram / Father And Baby Matching Sets 2-Piece Just $16.99! Down From $50! Ends June 17! Hurry over to Groupon to score these Father And Baby Matching Sets 2-Piece for just $16.99 down from $50! These matching sets have humorous prints which makes them really cute for baby and dad to wear! It’s a great gift for Father’s Day! Oh, I love this!